American intelligence agencies have determined that in the latter stages of the election, Russia acted covertly to help Donald Trump win the election. That’s right. CIA claims Russian hackers helped Trump win the election. This information came from senior administration officials. One of the big findings was that the Russians hacked the computer systems of the Republican National Committee as well as the Democratic organizations. The hackers did not release the information they obtained from the RNC. While leading up to the election there were loads of documents leaked from the Democratic Party. 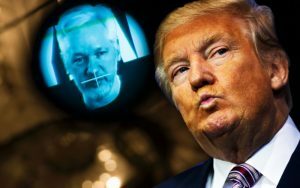 It has been determined by intelligence agencies that the Russian hackers provided these documents to Wikileaks who then leaked them. The Republican Party has a different stance as to why none of their documents were leaked. Officials of the Republican National Committee have said over and over that their networks were not compromised. They did admit that individual Republicans were attacked, though. When reached on Friday, a senior committee official was quoted as having no comment. What do you think about this story? Let us know what you think in the comments on Facebook.